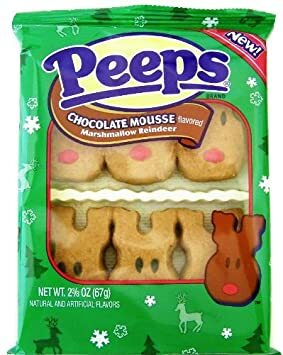 Every holiday brings holiday-specific treats. 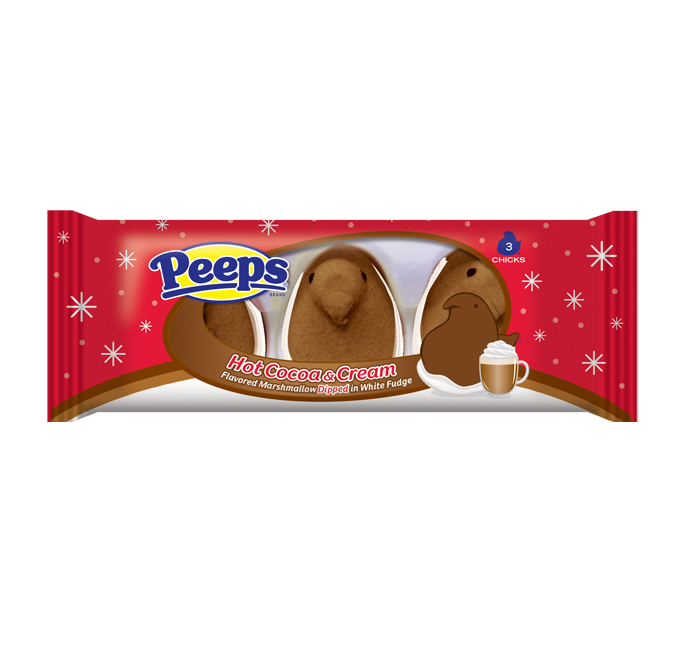 Peeps are no different, and every holiday I look forward to what new flavors are available. But before we get to what’s new this year, let’s recap some flavors from the last couple years. Chocolate ‘mallow in a white fudge. So amazing. Must have. I don’t like candy canes so I’ve never tried them, you’ll have to tell me. Ah, the classic chocolate mousse. Chocolate marshmallow in the shape of a reindeer. So good. Great idea, poorly executed. These taste like… a fancy candle. I ate one and the rest will never see action. I’ll be honest, I’m not huge on gingerbread. Real gingerbread? No thanks. Even Gingerbread Twix, while a fun novelty, almost ruin the awesomeness of Twix. 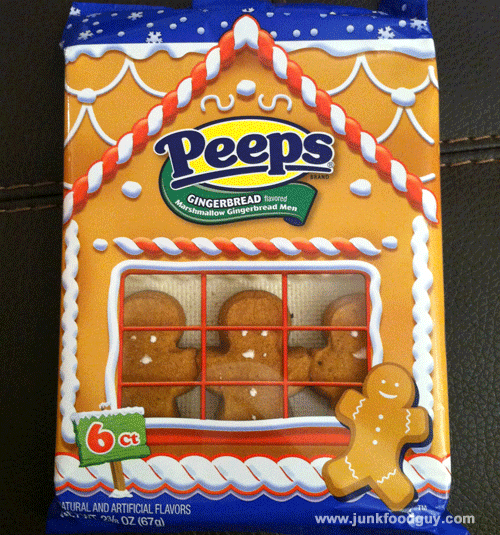 But these Gingerbread Peeps? Actually really good. And shaping them like gingerbread men? That’s why we love you, Peeps. Any we missed? Let us know!